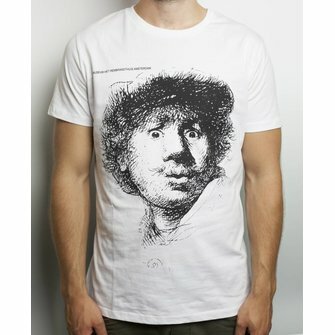 White T-shirt with Rembrandt´s Self-portrait open-mouthed, the logo of the museum. 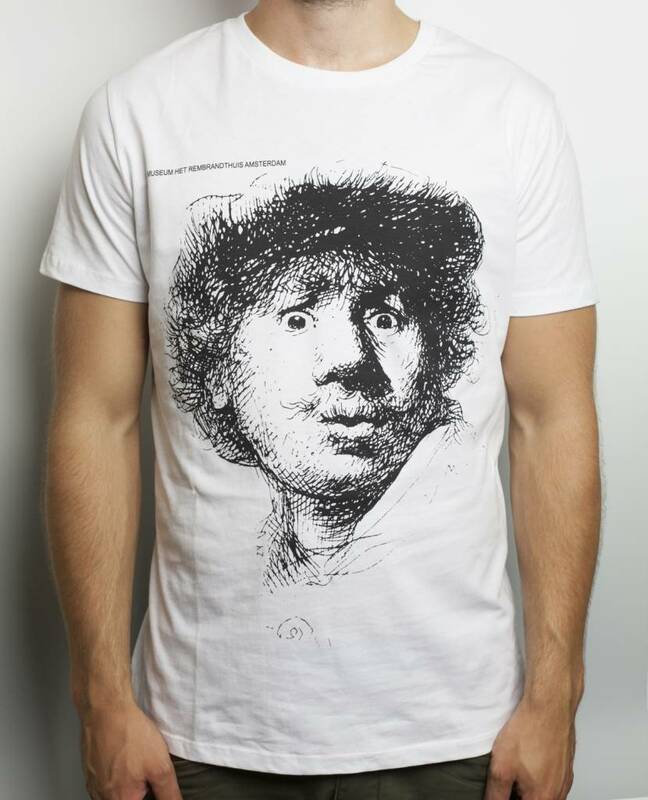 This shirt is only available at The Rembrandthouse Museum. The cotton used in this T shirt is organically grown. Round neck and short sleeves. Available in the sizes S, M, L, XL.